Jessica says, Don't leave Amsterdam without strolling along one of the canals at night, riding a bike or trying two Dutch specialties: kroketten and pannenkoeken. 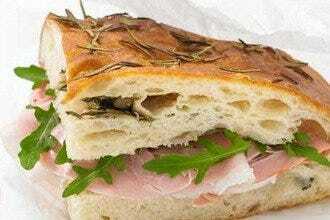 Travel provides ample opportunities to try new food and discover local cuisine. Food not only satisfies you after a long day of sightseeing, but one simple bite can also open the door to experiencing a country’s culture. Sometimes you just need to know where to look. 10Best is here to point the way to the best Dutch restaurants in town. Start your meal with kroketten or bitterballen, best described as a deep-fried roll of mashed potatoes and minced meat. This finger food is absolutely delicious and sure to take the edge off. When you’re ready for the main attraction, there are numerous options. If you’re a meat lover, steak with either pepper or mushroom sauce is a must. 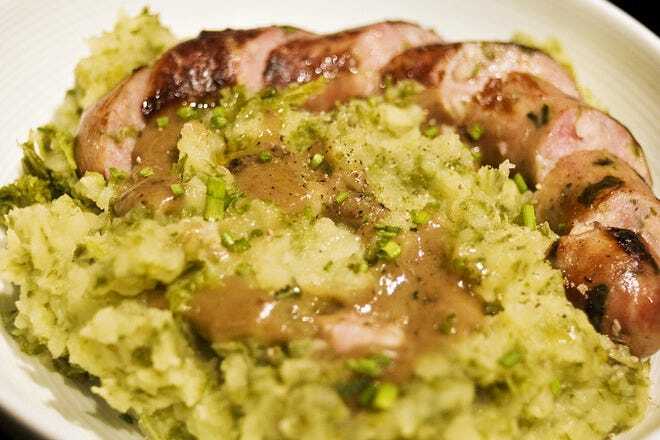 Stamppot Andijvie, mashed potatoes with endives, bacon and cheese, or Boerenkool met Worst, mashed potatoes with kale and sausage, are perfect dishes on a cold, winter day. Pannenkoeken (pancakes) are also a popular meal, as Dutch pancakes can be served with a variety of ingredients: bacon, cheese, apples, strawberries and more. 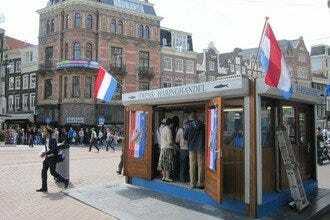 Want to sample a variety of Dutch favorites? Fresh herring, best served with pickles and onions, or kibbeling (fried cod) are both delightful snacks. Order a cheese plate and experience some of the best cheese in the world. Poffertjes (little pancakes with powdered sugar) or stroopwafels (warm, thin waffles with caramel inside) will satisfy any sweet-tooth craving. This list is only a start to all the delicious possibilities, so we invite you to take your pick and let the feast begin. When the decision is too difficult, there is only one way to easily finalise your dinner plans; look into the mirror and ask, "Mirror, mirror on the wall, who is fairest of them all?" De Silveren Spiegel (translated in English to The Silver Mirror) is the clear choice. 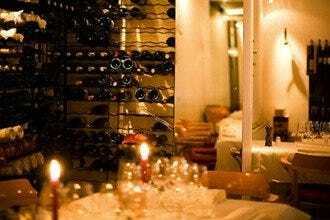 The restaurant is known for delicious Dutch cuisine and wines in an elegant, historical setting; the building dates back to 1614. Appetizers include braised leg of rabbit, Volendam smoked eel and potato soup. Main dishes vary, from baked duck breast to veal steak. 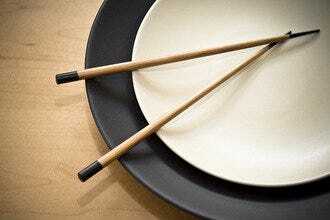 Although the menu is limited, the variety is very enticing. End the evening with one of the delectable desserts. Many of the ingredients are local, so you're sure to receive a true Dutch experience. Everyone, including locals and tourists alike, is welcome at Café de Prins. 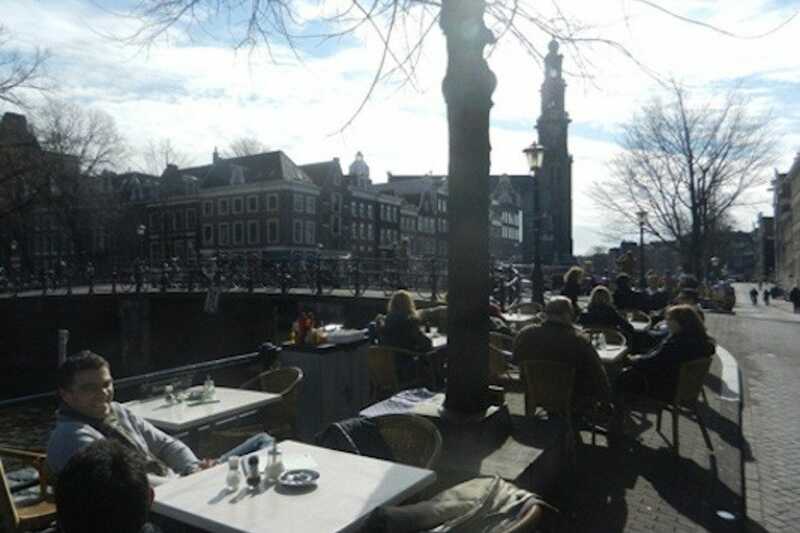 Located in the Jordaan, near the Westerkerk and Anne Frank House, Café de Prins is a great place to soak up some sun on the waterside terrace when weather permits or warm up after skating on the canals in the winter months. Whether you're simply looking for a quick Dutch snack, a refreshing beer or fantastic meal – breakfast, lunch or dinner – Cafe de Prins provides a vast selection. The apple pie seems to be popular. Overall, the brown cafe is a perfect place for all ages and any occasion. 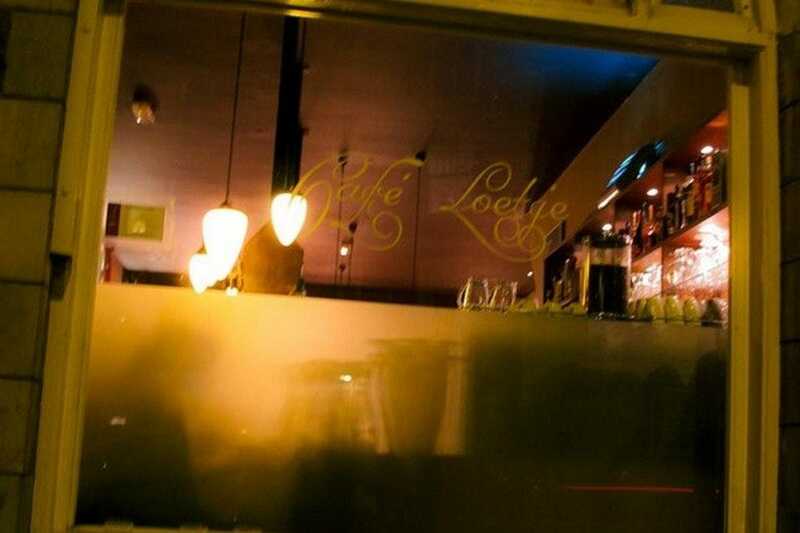 Café Loetje is said to have the best steaks in Amsterdam, possibly the world. No matter how you like your steak – medium, medium rare and well done or with jus, mushrooms and onions – Café Loetje knows how to serve 'em right. Pair your tender steak with a side of fries and salad; you'll find the menu options listed on the board. Oh yeah, don't forget to order an appetizer, such as homemade shrimp kroket or soup of the day. Reservations are only accepted for six or more persons. Therefore, you should arrive early or have a drink at the bar while you wait. Spend some time seeing the sights near Museumplein or watch a classical concert at the beautiful Concertgebouw. Finish the day with a fabulous dinner at an Amsterdam favorite: De Knijp. 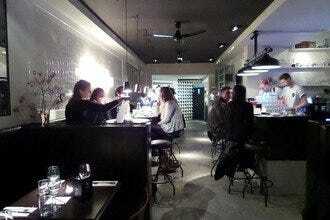 Known for both traditional and modern Dutch dishes, De Knijp is a place you will not want to miss. Using only fresh ingredients and products, the menu changes four to five times a year, so you can return time after time and discover something new. The kitchen is also open late, allowing you to stop by for a bite to eat anytime. The atmosphere and service will complete the experience. 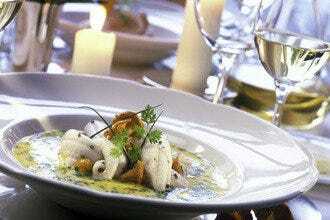 Prepare yourself for a divine culinary experience at d'Vijff Vlieghen. With good food, great wine and a dash of history, d'Vijff Vliegen calls itself a culinary museum. Dishes are always surprising and range from scallops and tartar of veal to start, with filet of lamb and pan-fried sea bass as two of the main courses. 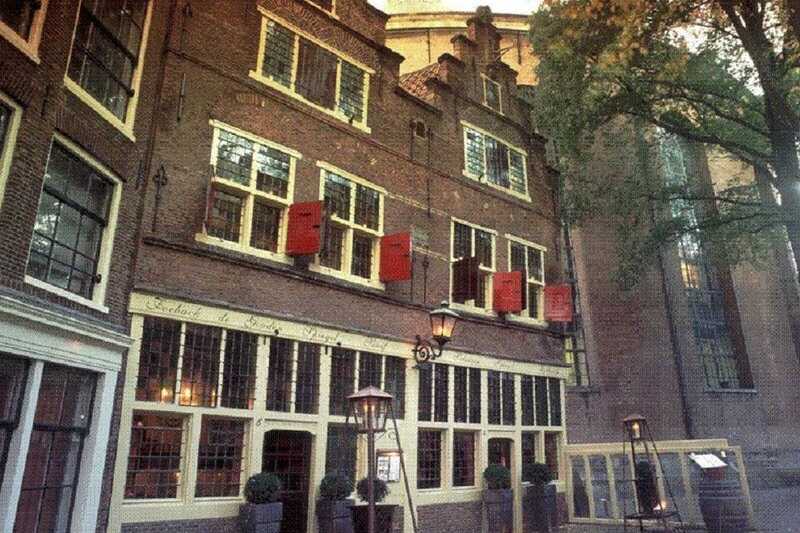 The restaurant's name has two origins: Vijff (Five) is the number of houses in which the restaurant is situated, and Vlieghen (Flies) comes from the nickname of the first person who lived in the house, Jan Janszoon in 1627. Make sure to also admire the character in each of the dining rooms. For instance, the Rembrandt Room displays four original Rembrandt etchings, while the Knights Room features knight paraphernalia and Delft Blue tiles at every table. 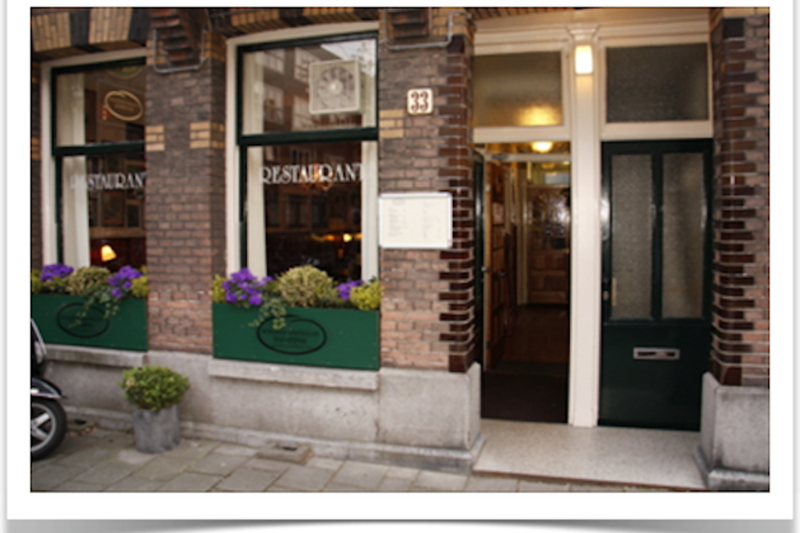 Since 1870, De Poort has been serving traditional Dutch culinary delights. Housed in Hotel Die Port van Cleve, right in the middle of Amsterdam by the Royal Palace, Brasserie De Poort offers a gezellig (best translated to "very nice" or cozy") experience with impeccable service. Regardless if you've come for breakfast, lunch, dinner, drinks or a snack, the chef tries to use fresh, local ingredients, thereby ensuring the best possible taste. One thing that sets this restaurant apart from the others is the numbered steak. Each steak has a number; if your steak is a round hundred, then you will receive a free bottle of wine with your meal. This location was also home to the first Heineken brewery (1864) before G.A. Heineken moved Heineken to its present location on Stadhouderskade; you'll truly be dining in a little piece of history. Behind every successful restaurant is a story. Restaurant Greetje is no exception. The restaurant is based on old-fashioned home cooking methods, traditional tastes and nutritious ingredients – principles the owner's mother used in daily meals. The menu will make your mouth water. Appetizers include an array of options, like Frysian sugar bread with duck liver terrine, smoked sea bass fillet and organic yoghurt with red beetroot, chestnuts and roasted hazelnuts. Then, select your main course from one of the many savory dishes, such as pheasant, beef stew, goat cheese croquettes and perch. Finish with one of Restaurant Greetje's delicious desserts. You'll leave the cozy environment stuffed and satisfied. 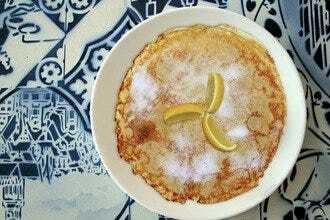 Join the regulars and get your fill of traditional, grandma-style Dutch cooking at Restaurant Hap-Hmm. The menu is arranged a bit differently, where you first select the meat and then choose from approximately eight different types of vegetables. Dishes are also accompanied with potatoes or rice stew. You'll also notice this hidden treasure boasts affordable prices, hard to find in Amsterdam; main courses range from 7.50 to 12.75 EUR. Whether or not you are on a budget, feel free to make yourself at home and eat to your heart's content at the family-run Restaurant Hap-Hmm. The delicious Dutch comfort food and friendly service will keep you returning time and time again. Restaurant Haesje Claes, situated between Dam Square and the Spui, offers an authentic and seamless blend of history and traditional Dutch food. The restaurant, which still has some of the building's original architectural fixtures preserved, creates a warm, inviting environment, complete with beamed ceilings and brick walls. 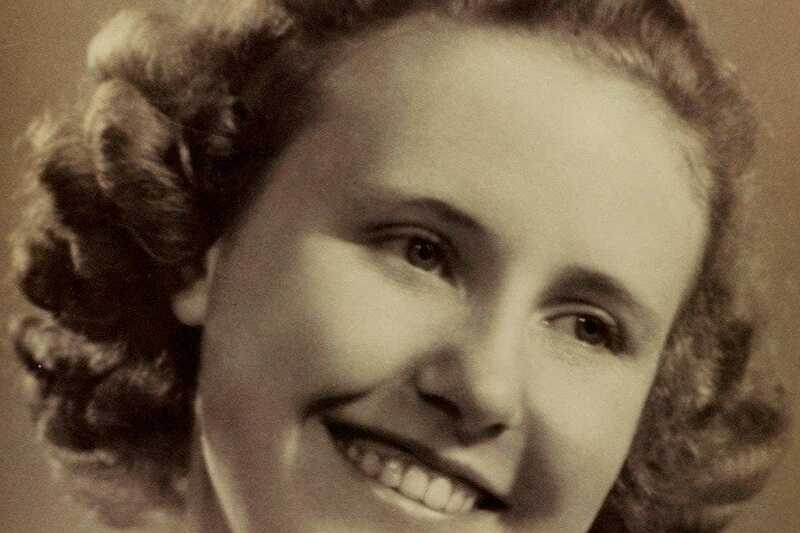 The restaurant is named after Lady Haesje Claes, founder of the "Amsterdam Burgerweeshuis" (orphanage). With several dining rooms and terraces, the restaurant offers suitable seating space and serves an abundance of delicious dishes. 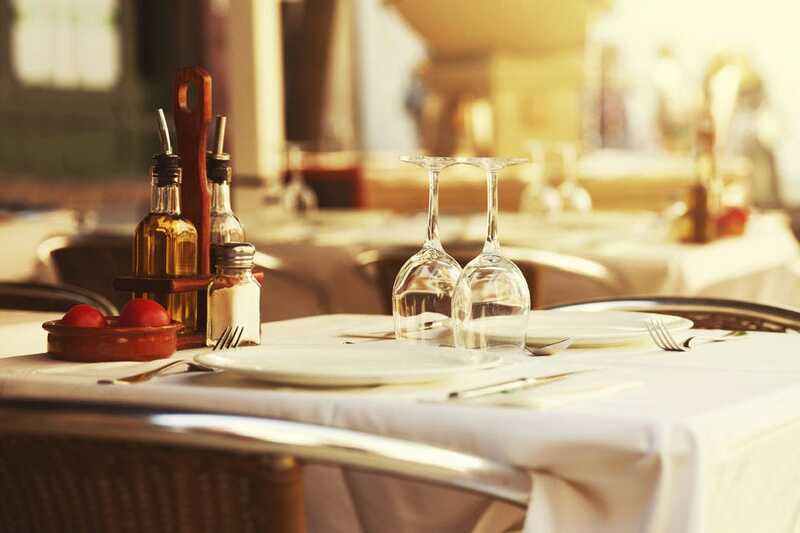 From starters such as herring, kroketten and pea soup to main dishes like Stamppotten and beef steak, the restaurant will give you a taste of traditional Dutch specialties. Give your Mom a break from the cooking and the cleaning and take her to Restaurant Moeders. 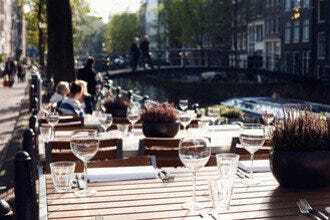 Moeders, which literally translates to "Mothers" in English, is the family restaurant in Amsterdam, especially for Mother's Day or your Mom's birthday. 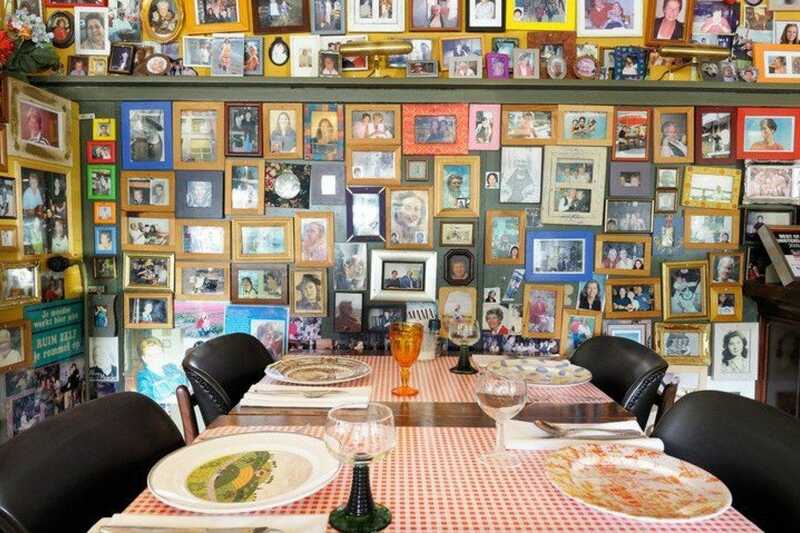 The walls are decoratively adorned with a collage of photos, featuring mothers from all corners of the world; pictures are still being collected. Moeders serves a dish of the day for only 10 EUR. 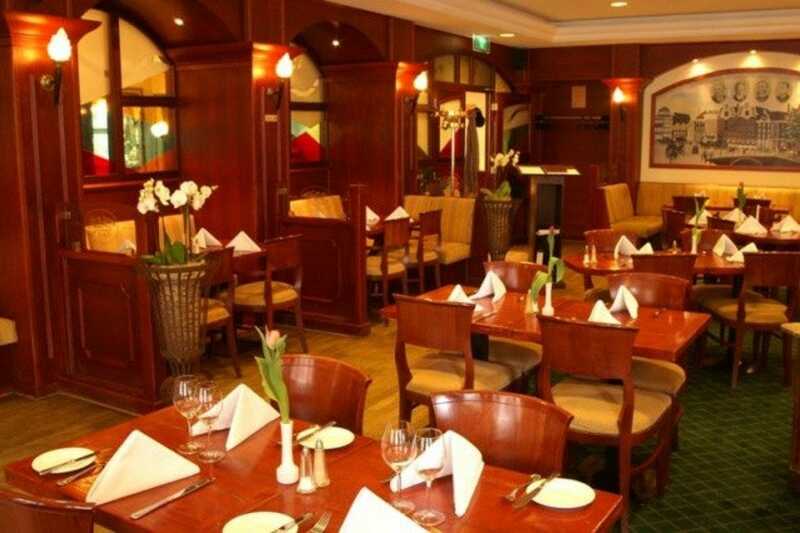 Visitors can also choose from an a la carte or a three-course menu. 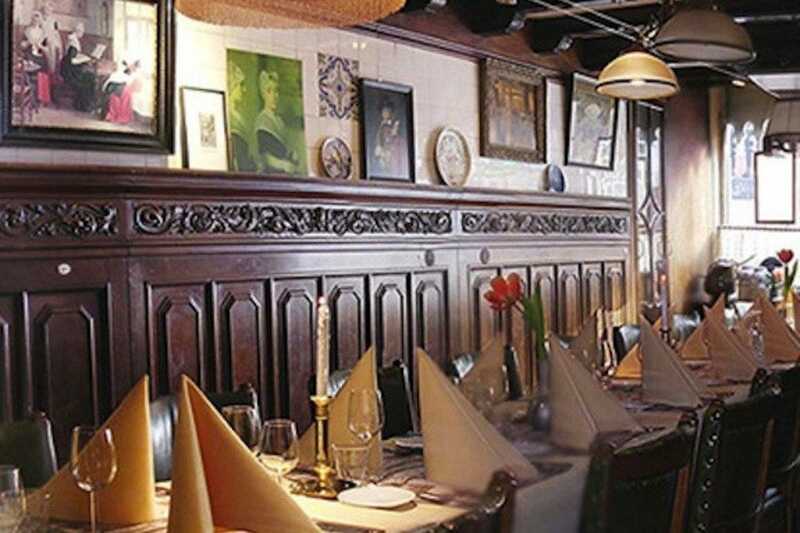 With typical Dutch cuisine and a friendly, welcoming ambience, Moeders will make you feel right at home. Jessica has fallen in love with the Netherlands. 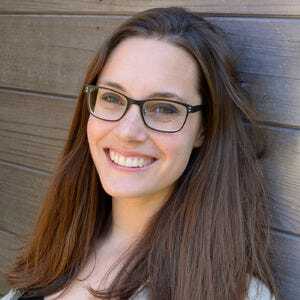 She moved in 2011, seizing an opportunity to live abroad, a long-time dream.